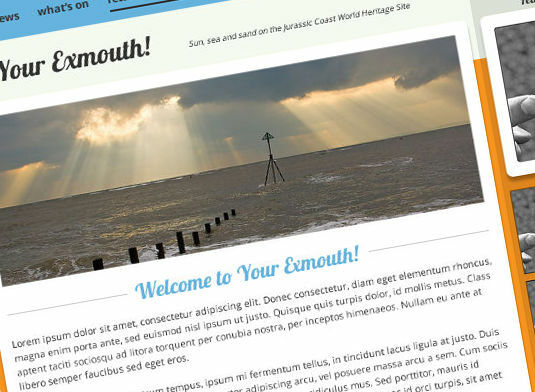 Your Exmouth is a start-up business focusing on promoting Exmouth. The website is design to be a directory for local businesses including hotels, shops and services. Creating a logo that could represent Exmouth was the key to the branding, with a scarlet sun setting over the sea and sand. Exmouth is known for it’s esplanade and beach so promoting this aspect of the town was a must. The website design is vibrant and appealing, fitting in line with the branding and logo. It will also allow for an advertising system and the ability to promote individual businesses. You are Here: Home » Portfolio » Your Exmouth!